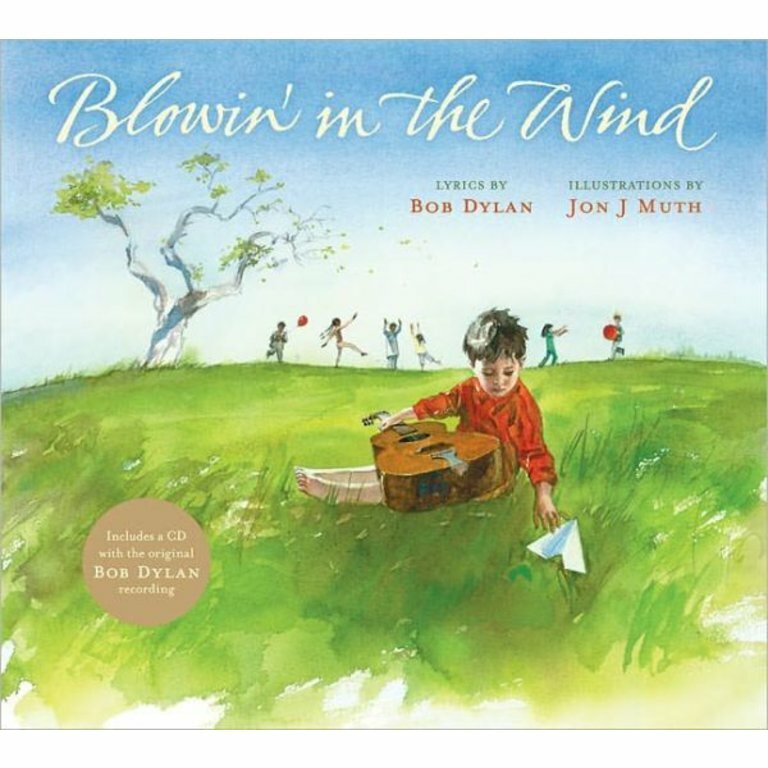 With words by one of the most admired songwriters of all time and illustrations by a Caldecott Honor medalist, this powerful and timely picture book will be treasured by adults and children alike. 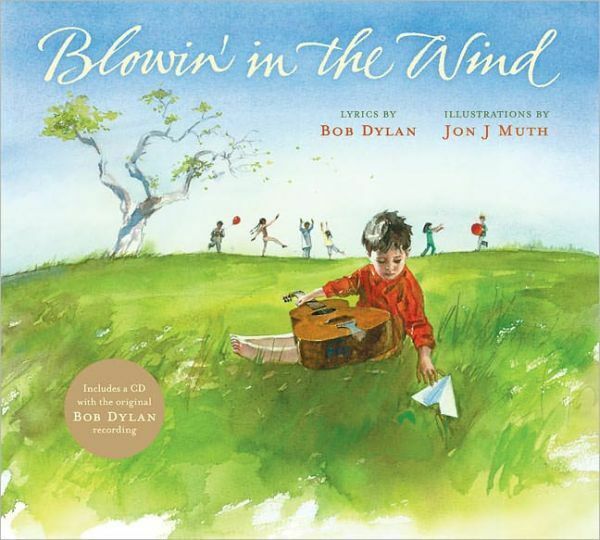 Following the success of Man Gave Names to All the Animals comes a stunning version of Bob Dylan's beloved song: the anthemic “Blowin' in the Wind.” Jon J Muth is the perfect artist to interpret Dylan's poetic lyrics for a new generation of readers. This beautiful edition includes a CD of Dylan's original 1963 recording, plus a special note by renowned music columnist Greil Marcus, putting the song in historical context. Jon J Muth is a best-selling writer and illustrator. For over twenty years he created comics and graphic novels, culminating in the industry's highest honor, an Eisner Award for The Mystery Play. In 1999 Mr. Muth started what has been more than a decade in children's books. He is the author and illustrator of Zen Shorts, a Caldecott Honor book, which Kirkus Reviews called “as perfect a picture book as can be.” He illustrated the anthology A Family of Poems, by Caroline Kennedy. His book The Three Questions has been described as “quietly life-changing” by the New York Times. Mr. Muth's work has been translated into more than a dozen languages. He lives in New York.